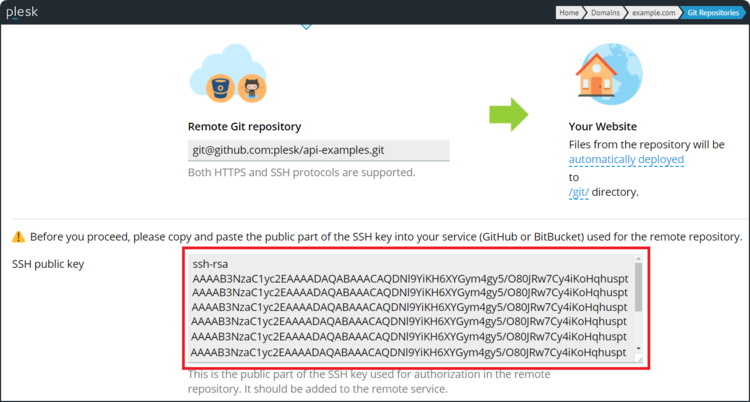 Go to Plesk > Domains > example.com > Git > Remote Git hosting like GitHub or BitBucket. When I press the PULL UPDATES button - all OK, however, if I Commit to bitbucket, waiting few minutes and the repository is not populated automatically. What can be the reason of this?